Raytheon is at least four years behind in development of the ground control system, called the Operational Control Segment, or OCX. Company leaders have said they expect the full program to be available in 2021. To close that gap, however, the Air Force has contracted with Lockheed Martin to upgrade the existing ground control systems. That upgrade is known as the Lockheed Martin’s Contingency Operations (COps) system and will help fly GPS 3 until the Raytheon system is online. A Lockheed Martin spokesman said April 11 the company began final qualification testing for the upgrade this week. Lockheed Martin executives expect to deliver the system in May and plan on Air Force workers installing the system this summer. COps is expected to go live in September. 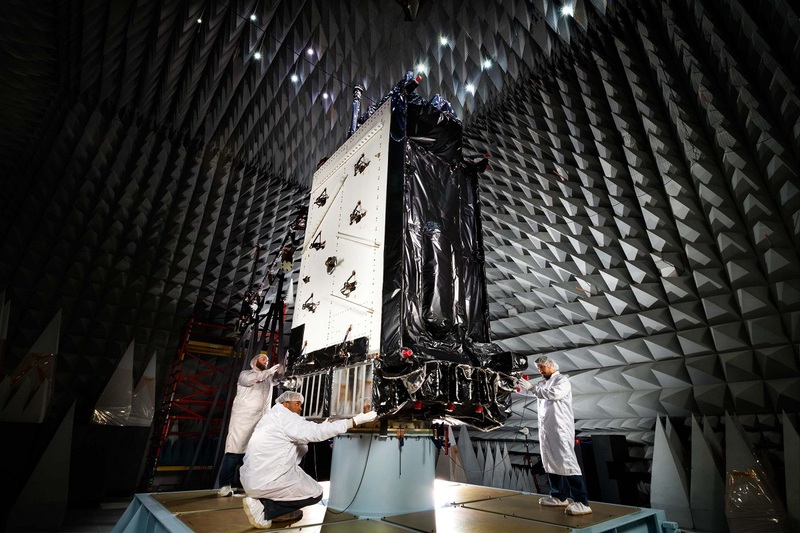 Planners say the next generation GPS satellites will bring new capabilities, including three times greater accuracy and up to eight times improved anti-jamming capabilities. The Air Force’s fiscal 2019 budget request included funding for anti-jam, anti-spoof, and anti-tamper military GPS development and integration into multiple joint platforms, Gen. Jay Raymond, the head of Air Force Space Command said in testimony last year before the House Armed Services Committee subcommittee on strategic forces. Following the launch of the first GPS 3 satellite in December, the Air Force put that satellite through its paces with a series of operational tests. Those tests are ongoing. Now, Lockheed Martin engineers are putting the finishing touches on the ground control contingency system. “We are at the end of the development phase and we are into the final throes of integration testing, which will lead to a formal test that shows it is ready to start putting onto an operational system,” Caldwell said. In the meantime, the Air Force is using the launch and checkout system baseline from Raytheon Intelligence and Information Systems, delivered in 2017, to help steer the satellite during the capabilities-testing phase.